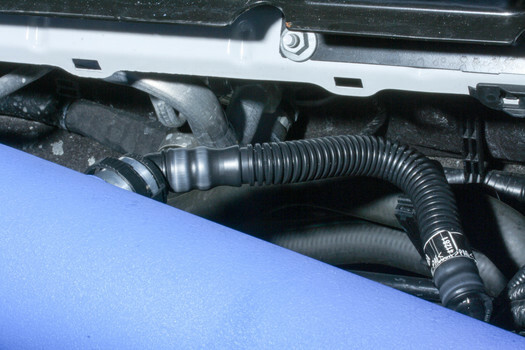 Aftermarket intakes are a simple and common modification on many cars. 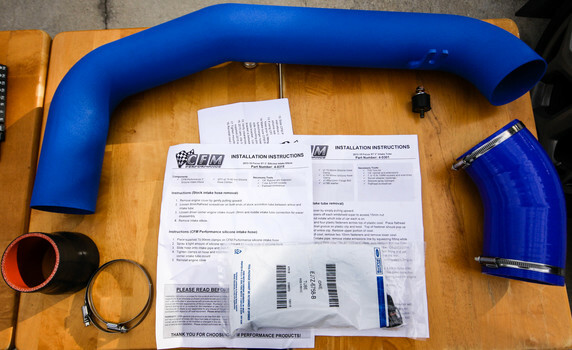 Central Florida Motorsports recently came out with their own 3" Mandrel-Bent performance intake and silicone elbow. Their instructions included in the packaging are thorough, but I thought I'd add some photos and additional tips. 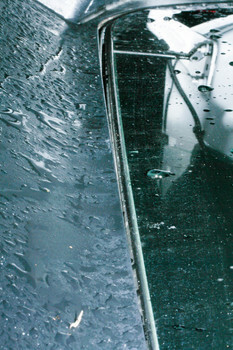 Remove windshield wipers. 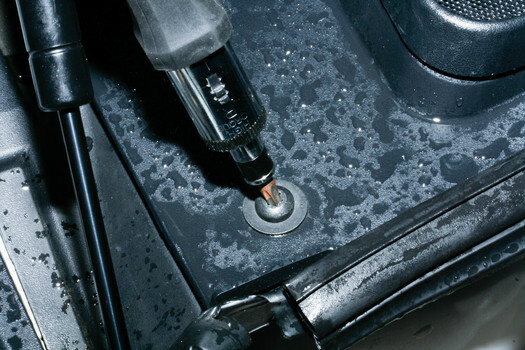 This is likely the toughest, or second toughest part of the job if you have never removed them. This thread was helpful. I opted for the method of bending the arm up at the hinge, applying upward pressure near the stud, and wiggling the lifted arm. I also used some WD-40 on the driver's side to aid removal. 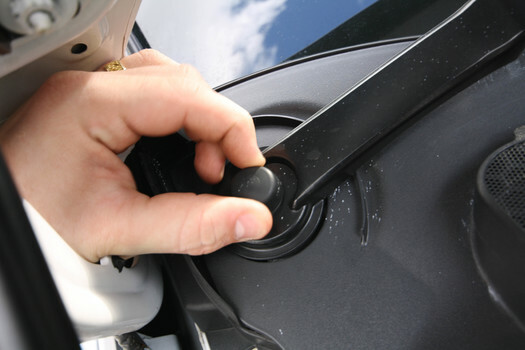 Keep track of which wiper arm is which! MISSION CRITICAL: Do not turn your car on with the wipers removed!!! 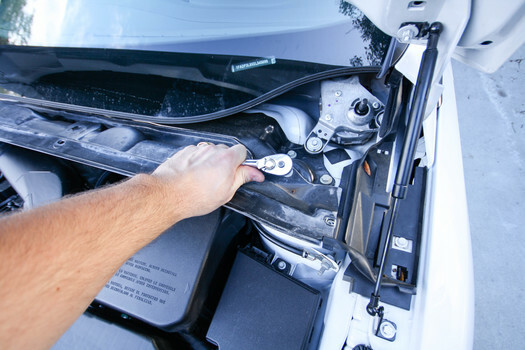 If you accidentally turn the vehicle on (even accessory mode) the wipers will fail to calibrate, potentially causing issues on re-installation. 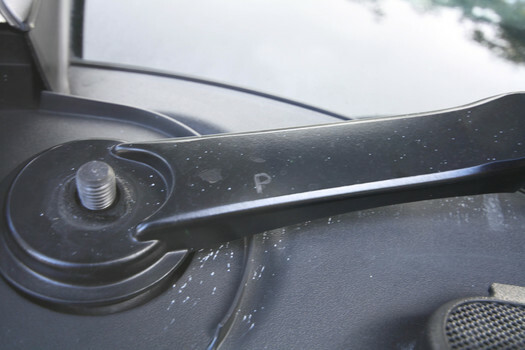 Remove two T30 Torx screws and 4 plastic clips from the upper cowl cover. Use a flathead for the slot in the top of the clips to pop up the inner fastener, then remove the clip. 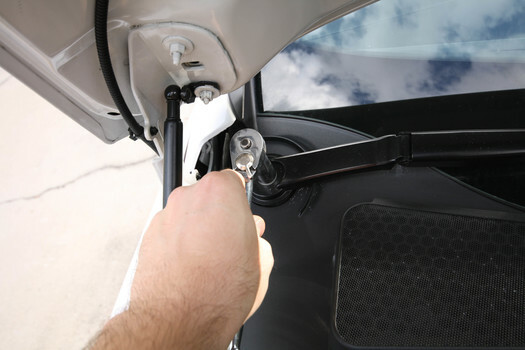 The window-side of the cowl cover is inserted in a groove at the bottom of the windshield, and requires slight upward pressure to remove. Keep this in mind for re-installation. 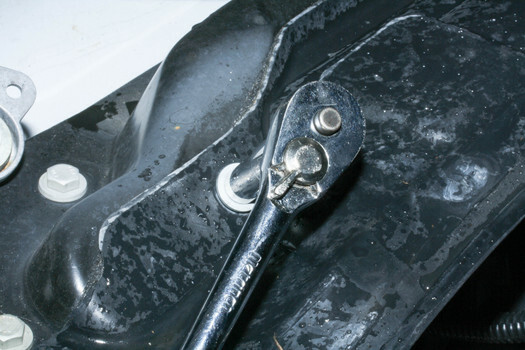 Remove the two 10MM bolts from the lower cowl cover, then remove the lower cowl cover. 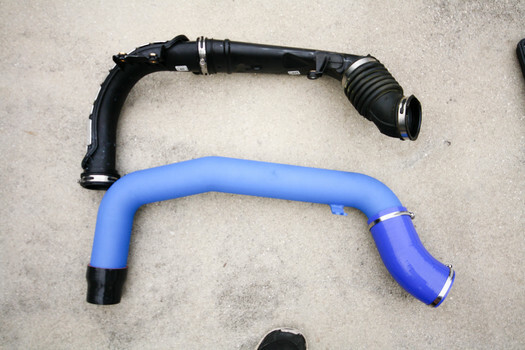 Remove the intake emissions line. 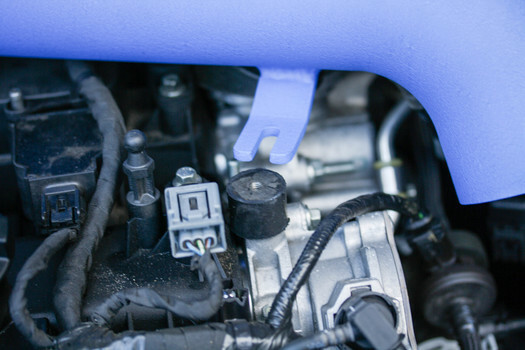 On 2015/16 models, you only need to remove the intake side. 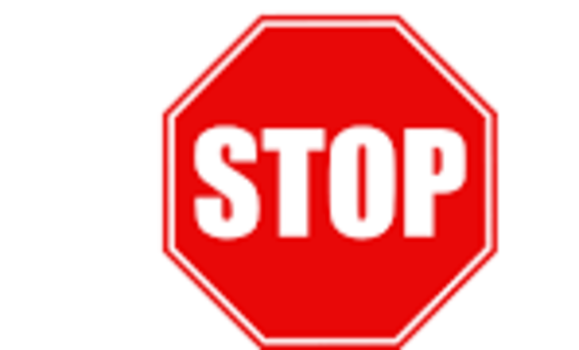 On 2013/14 models, you will need to remove the entire component. Here are the two Ford parts, side-by-side with the 2015 part on top, and the 2014 on the bottom. 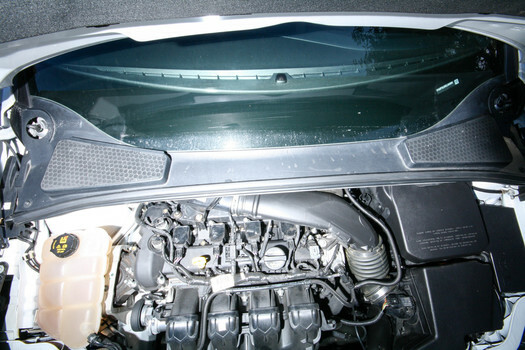 I requested the 2015 part as a precaution, but the 2014 part will work with the C-F-M intake, however, a small bit of the hose needs to be cut to fit. I've provided a rough example, but you'll want to measure to verify. 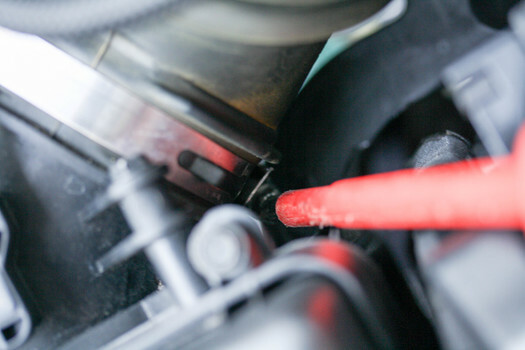 Loosen the hose clamp from the intake-tube side of the accordion pipe between the intake tube and the filter box using an 8MM socket, or flathead. 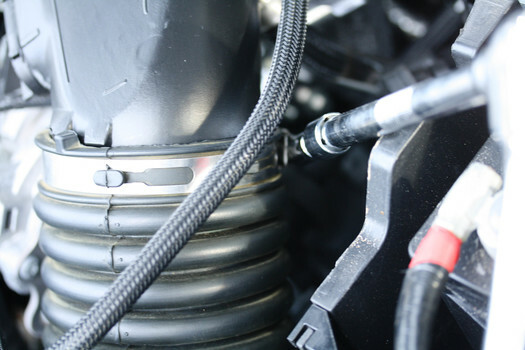 If you're also installing the silicone elbow, loosen the hose clamp on the filter box side of the accordion pipe as well. I used a flathead for this due to the tough angle. 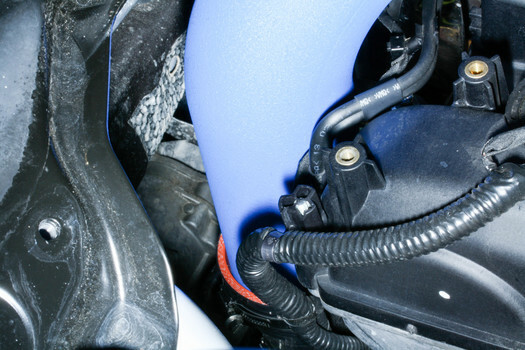 Loosen the 7MM hose clamp on the turbo inlet side of the intake tube. This is a tough one to reach behind the motor. Remove the three bolts securing the intake tube to the motor. Two are 8MM, and the tall post is 12MM. 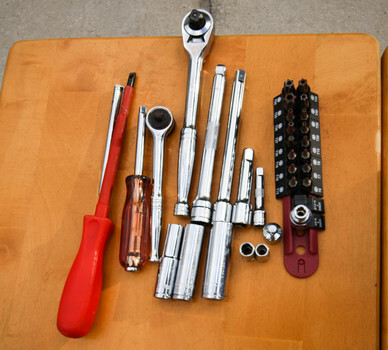 Verify all hose clamps are loosened and all bolts are removed, then remove the stock intake tube. Spray some silicone lubricant (I did not have/use any) inside of the silicone reducer hose, and install the small side of the reducer on the turbo inlet with the wider opening facing upwards. 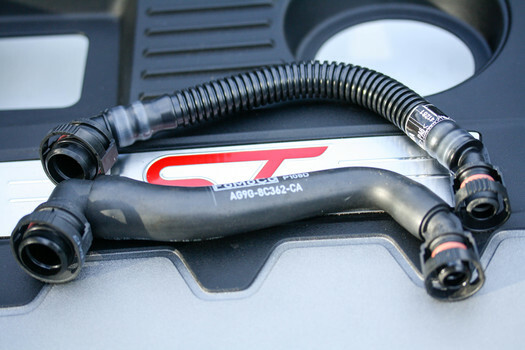 Make sure to have your 60-80MM hose clamp on the bottom before you put it on the turbo. Tighten this hose clamp once the silicone reducer is secured. 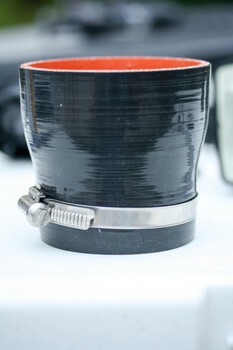 Put the 70-90MM hose clamp on the large side of the reducer and slide in the new intake pipe. 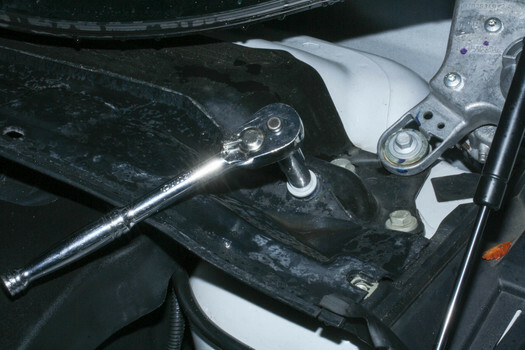 Push it in the reducer and secure the pipe by tightening the hose clamp. 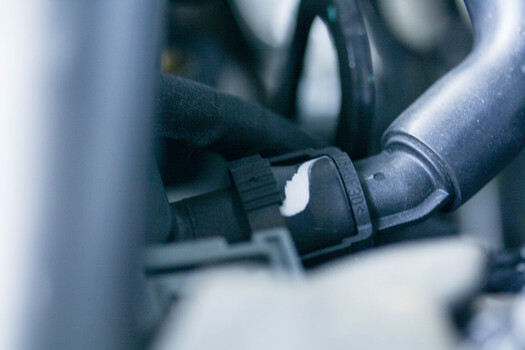 After tightening the hose clamps on the turbo inlet and intake tube near the turbo inlet, feel around the silicone reducer to verify the hose clamps are indeed squeezing the turbo inlet and the intake tube. 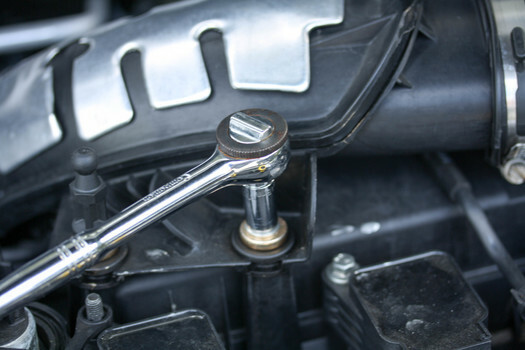 Give the intake tube a few confidence wiggles to ensure it's secured. Install the neoprene isolator (but not the bolt yet). 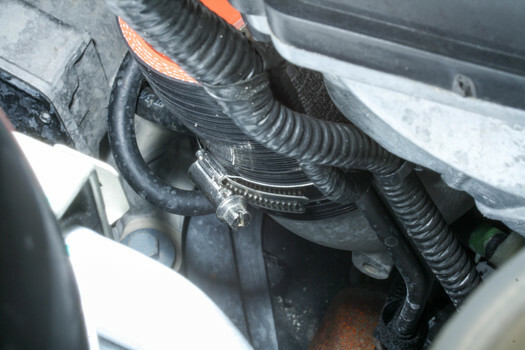 Install the silicone elbow ensuring the hose clamps are secured on the filter box and intake pipe. I decided to remove the filter box and install the silicone elbow on the filter box before I secured the elbow to the intake pipe. 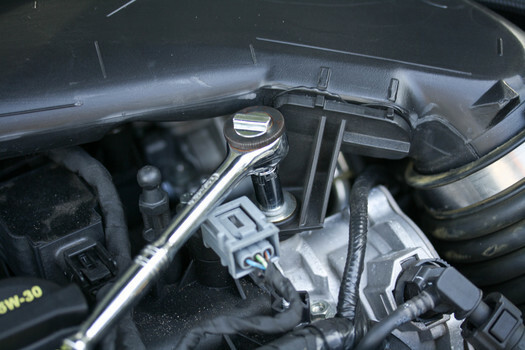 Tighten the M6x12MM bolt on the isolator, using the washer between the bolt head and the intake tube bracket. 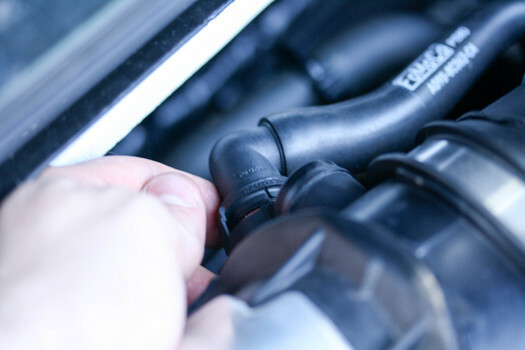 Install supplied emissions hose, or the modified OEM hose. 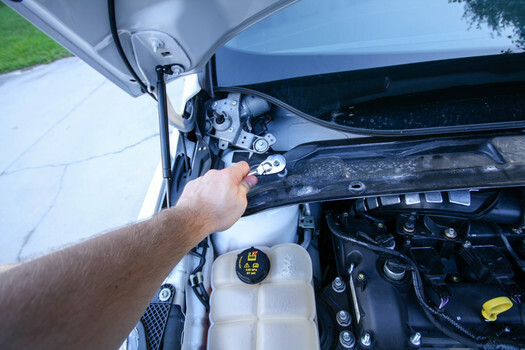 Reinstall lower cowl cover using the two OEM 10MM bolts. 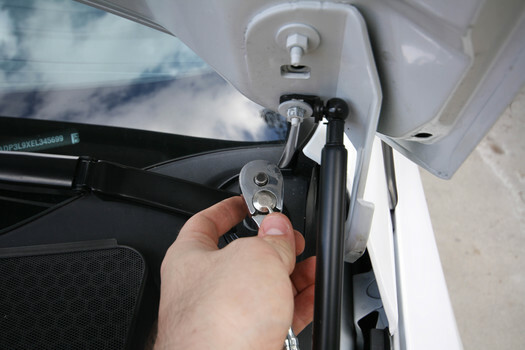 Reinstall upper cowl cover using the two T30 screws on the ends and 4 fastener clips in the middle. Refer to the photo earlier for clip placement. 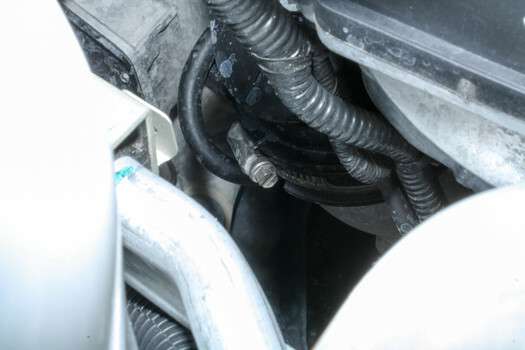 Make sure the fastener clips are fully expanded (popped out) before you insert them in the upper cowl cover. 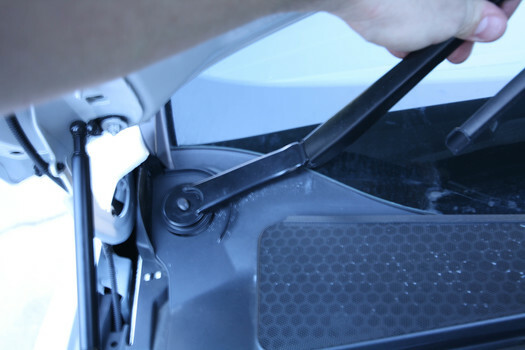 Remember to line up the window-side of the upper cowl cover with the groove below the windshield. 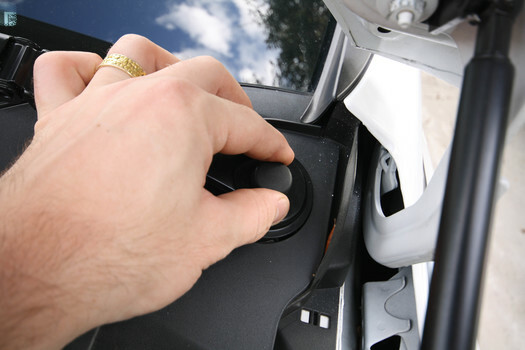 Test drive your car for a few miles, then turn off the motor and check your work. Verify all the hose clamps are secure, and the silicone elbow and reducer have no leaks/gaps. 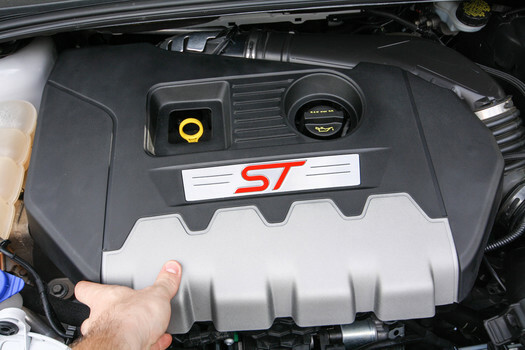 Reinstall your engine cover and admire your work! 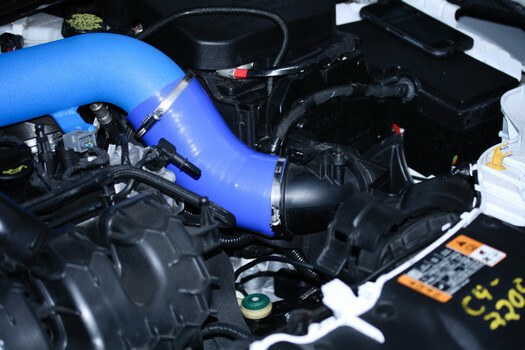 The C-F-M intake tube is a very well-built component. It's very lightweight, and the silicone pieces are solid. There were no missing pieces, there was plenty of clearance behind the motor cover, and I have not heard any vibrations from the intake tube. Aesthetically, the blue piping is great. It's also offered in wrinkle black or red. The pipes are powdercoated, and the coating is pretty durable as it was undamaged when I mistakenly stepped on the pipe while it was on the driveway. The pipe offers marginal performance benefits over the stock, constrictive pipe. The primary benefit for me is the sound. The wider metal pipe resonates some fantastic turbo noises. 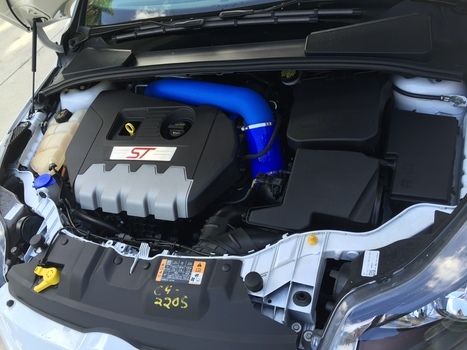 I highly recommend the C-F-M intake!